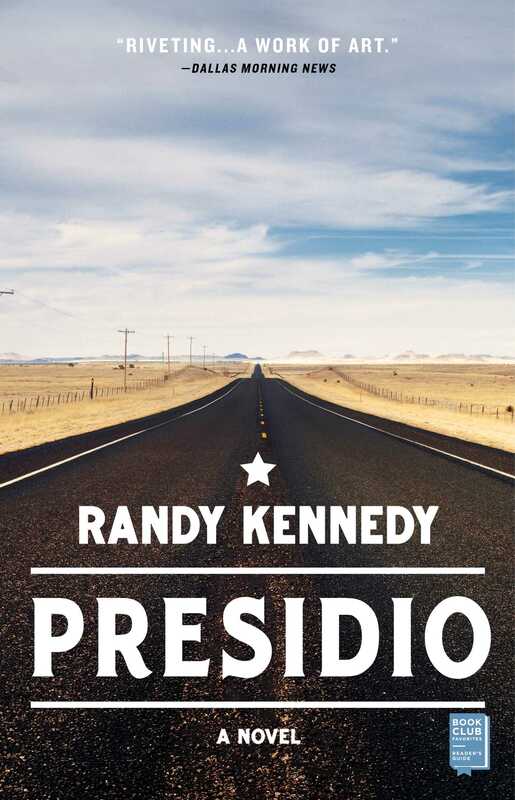 This reading group guide for Presidio includes an introduction, discussion questions, ideas for enhancing your book club, and a Q&A with author Randy Kennedy. The suggested questions are intended to help your reading group find new and interesting angles and topics for your discussion. We hope that these ideas will enrich your conversation and increase your enjoyment of the book. Presidio is the darkly comic story of three unlikely travel companions whose lives take a fateful turn in one Texas parking lot. Car thief Troy Falconer returns home after years of wandering to reunite with his younger brother, Harlan. The two set out in search of Harlan’s wife, Bettie, who has left him and taken the little money he had. When an act of car theft accidentally turns into a kidnapping, the brothers’ plan to find Bettie quickly spins out of control. 1. The novel has three epigraphs, from the poet John Ashbery, the novelist Clarice Lispector, and the artist Robert Smithson. How did these inform your reading of the novel? Did you read them again once you finished reading? Did their meaning change? 2. What is your first impression of Troy? Is he a reliable narrator? 3. Troy’s “notes for the police” are also a journal of sorts. Why do you think he writes these? What do they lend to the story? What do they reveal about him? Is Troy ultimately more a writer than he is a thief? 4. Troy, Harlan, Martha, and Bettie all have suffered the loss of a parent—even though Martha’s parents don’t die, and she is taken from her mother and later separated from her father. How do these losses affect the actions of each character? 5. Troy meets someone who says he can help him disappear, legally, from society (pg. 13). In today’s culture, where personal privacy is under siege, does this longing to hide out, to disappear from view, resonate with you? 6. Harlan says Troy has always been lucky. Do you agree with him? Why might it appear that way from Harlan’s point of view? 7. When Harlan’s truck breaks down in the grocery store parking lot, Troy decides to steal a station wagon. Why does Harlan decide to get in the car with his brother? Would you have gotten into the station wagon too? Why does Martha, hidden in the back, remain quiet and out of sight as the brothers drive off with her? 8. In one of Troy’s notes, he tells the story of how his mother dies. He says that Harlan carries great guilt, but does Troy carry resentment toward his brother? Discuss Troy and Harlan’s relationship. Is there love between the brothers? 9. Although we don’t see a lot of Bettie, her initial meeting with Troy puts in motion a series of events. Is Bettie the ultimate con artist, or are the brothers easy targets? Does it seem possible that the brothers would be able to track Bettie down? 10. Troy writes, “After working for so long to live a life with my eyes open, I let myself fall into the kind of delusion where you don’t just get a few things wrong” (pg. 153). What is he referring to? Where do things start to go wrong for Troy? 11. One of the people Troy encounters is a truck driver who gives him shelter for the night. What did you make of their encounter? How does the story of the truck driver and his wife relate to Troy? Were you familiar with the Biblical story of Uzzah? Why does this story bother Troy? 12. Martha is a quiet character, but she is very strong and smart. How does her will help her in the situation with Troy and Harlan? Do you expect her to escape, and how? 13. Trust and betrayal are major themes in Presidio. Does Troy trust Bettie, does Harlan trust Troy, does Martha trust the brothers? What foundation of trust is there for each character? 14. Aron and Bill Ray are complicated men raising children on their own, though under different circumstances. Are they good fathers? How are they different? How are they the same? 15. Discuss misfortune and luck in the novel. What do these mean for each character? 16. Martha makes two phone calls. Whom does she call? What does she say? 17. The climax of the novel takes place at a diner in Presidio. Were you expecting such a standoff? Was there another possible ending? What meaning does this lend to the title? 18. Troy shares the story of the last house he ever robbed, before giving up home burglary for good. What remorse does Troy feel? Why do you think it doesn’t change his criminal ways altogether? 19. The novel ends with one of Troy’s notes, in which he describes a dream. He writes, “Sitting here brings back a dream I used to have when I was young, a dream that seemed very real even though almost nothing happened in it.” In the dream, he discovers a previously unknown part of the tiny town where he lived, and the discovery makes him very happy. What do you make of this ending? Is this a metaphor for Troy’s life, for the decision he made at the end of the book? 20. Discuss the idea of home in the novel. Where does each character find home? What does it mean to each character? Is any character at home with who they are? 21. Discuss Troy’s monklike desire to be a man without possessions. Why does he shun ownership and consumer culture? Does late capitalism force us to define ourselves too fully by our possessions and status as consumers? Do Troy and Martha share common ground in their outlook toward material culture? 22. Discuss the religious overtones of the novel. In the overnight scene in the truck, the driver, a former preacher, says: “I believe in sin and I believe in bad luck and sometimes I think the second doesn’t have anything to do with the first.” Do you believe in the concept of sin? Do you agree with the trucker? 23. Discuss the book’s stark setting, which serves as a major character in itself. The Panhandle of Texas was once the Comancheria, the hunting grounds of the Comanche tribes, before the buffalo were slaughtered and the tribes forced off their lands and into reservations. Do you get a sense of their history and their absence from the land? Do you think this is a kind of landscape that should have been permanently settled? Does this settlement say anything about the concept of Manifest Destiny and the American frontier? 1. How familiar are you with Texas? Go to Google Maps and look up some of the places Troy passes through in the Texas Panhandle and eastern New Mexico: Clovis, Lubbock, Odessa, Fort Sumner, Amarillo, Tahoka, Bronco. Who in your book club has been to any of these towns? Had you ever heard of the mesa land in Texas called the Llano Estacado (Staked Plains)? 2. Martha is a Mennonite. How much do you know about Mennonites? Did you know there is a large population of Mennonites in northern Mexico? How did they come to be there? Visit Wikipedia or your local library to learn more. 3. Troy steals what would now be vintage cars. Look up some of the models mentioned in the book: 1938 Diamond T pickup, 1965 Chevy Nova, Coronet Brougham, Chrysler Newport, Ford Country Squire station wagon, 1950 Ford Business Coupe. What are they worth now? 4. The book’s climax takes place at a small-town diner. What better place to have your book club meeting than at your local diner! What was your inspiration for Presidio? Was the story based on real events? For many years, I’d had the figure of a car thief in my head as a quintessential character of the New West. In the Old West, the horse thief was the lowest, most vile criminal—if you stole someone’s horse you stole all means of livelihood, and if caught you were, probably rightfully, hung. Stealing a car isn’t quite as despicable, but almost. In the part of Texas where I was raised—an isolated stretch of the southern Panhandle, a vast flatland called the Llano Estacado, or the staked plains—if you didn’t have a car you were pretty much a noncitizen, a nonentity. The novel is about the isolation and harshness of that land, and its history back to the Comanche tribes and earlier. Thinking about that part of the country as among the last places where the frontier closed, the book is also about a certain suspicion of the ways in which success and happiness have been defined in America in the late twentieth and early twenty-first centuries. I’ve never known a car thief, but in Troy, my thief, I dreamed of a character who had stopped wanting most of the things Americans are supposed to want. This grew out of a conviction, which began dawning on me in my late thirties, that most of my adult life had been shaped by a world that was training me to become a more efficient consumer and a more efficient worker, in that order. I wanted a character who attempts a jailbreak from that kind of life, however ineptly, in search of more meaning and deeper human connections. I once told my editor, Trish Todd, that this book was essentially about late capitalism and religious longing. She wisely told me that I should probably come up with a snappier synopsis. You were born, and grew up, in Texas, where Presidio is set. Did you travel at all while writing this novel? Did you stay at any motels as research? I feel as if I’ve been doing research for this book at least since high school, in a small town in the Texas Panhandle where I was raised and where the novel is mainly set. But I began in earnest to learn more about that part of Texas and to collect details for writing about a decade ago, on trips back home to see family, and on one solitary research trip that took me from Midland, Texas, on a meandering path to the border at Presidio. I stayed in motels along the way and ate in diners and talked to strangers and kept good notes. When I was a child, my family would take days-long road trips across the West from Texas to Seattle, where my mother’s family lived. Those trips and the motels along the route still loom large in my memory and contributed to the feel of the book. 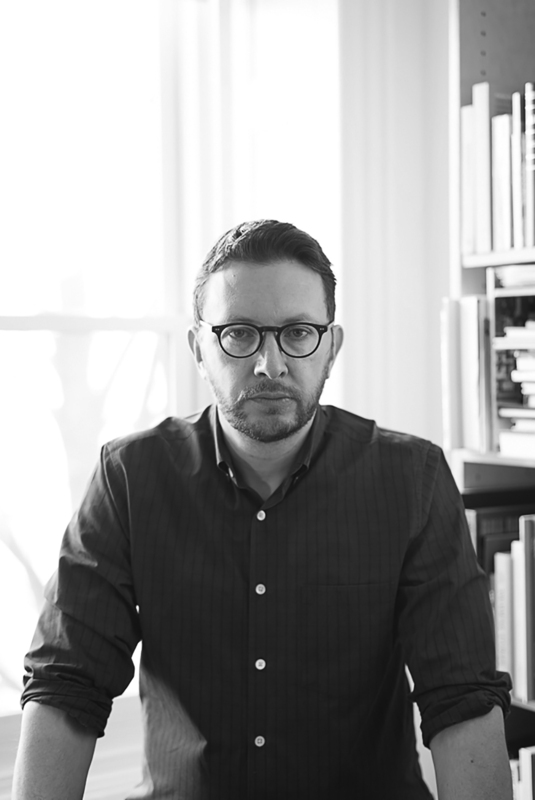 This is your first novel, but you’ve had a very long career as a writer. Did you always want to write a novel? Was your writing process different from short form or nonfiction? I’ve wanted to write a novel since I was about twelve. One of the reasons it took so long is that for twenty-five years I worked as a staff writer at the New York Times, where the pace was rarely ever less than exhausting. So I really did write fiction mostly from midnight to two a.m. and on weekends or when I was supposed to be on deadline for a news story. But this first novel was also a long time in coming simply because it took years for me to be able to write something that made me happy, that I myself would want to read. I came across a comment once by the French writer Theophile Gautier, who said that his sentences were as agile as cats—if he threw them up in the air they always landed on their feet. My sentences, as least as far as fiction is concerned, are more like newborn puppies. I have to treat them with extreme care and it takes a while for them to learn how to walk. On a day-to-day basis, making the transition from journalism to fiction was always tough. One of my favorite short story writers, Barry Hannah, said that writing fiction is like getting into a trance, and that was exactly how it felt for me. The good trances came on haphazardly and usually late at night. Maybe it’s why so many of the encounters that Troy, my main character, experiences take place in the wee hours, when he’s alone. Troy Falconer is a car thief. In the novel, we learn about several of the cars he steals, all American made and no longer in production. Are you a car enthusiast? Did you own any of those classics? A funny thing about this book is that I really don’t have any love of cars—I haven’t owned one in almost twenty-seven years, since I left Texas to move to New York—but I had to learn a tremendous amount about classic cars of the 1960s and 1970s to write this. Every car that Troy steals is a make no longer in production—so, essentially, an extinct species. And some of the specific makes meant a lot to me: the car that Bettie drives when Troy first meets her is the alpine white 1970 Dodge Challenger R/T that Barry Newman drives in the 1971 classic Vanishing Point. The black 1950 Ford Business Coupe that Troy steals outside of Kermit, Texas, is the car, for example, that Robert Frank used to drive across the country to shoot the seminal photo book The Americans. And the car that Troy steals only to find a trunk filled with expensive rare books was, in my mind, owned by Larry McMurtry, who was making his living at that point in the 1970s partly as a book dealer. Troy meets some interesting people along his travels. Were any of these based on encounters in your own life? My aunt and uncle owned the struggling motel in the town where I was raised—Plains, Texas, population about 1,500—and I remember vividly some of the down-and-outers, hopped-up long-haul truckers, lonely traveling salesmen, and migrant workers who passed through the rooms there. The book is also very much about the world of my father, a telephone lineman who was born and raised in that part of Texas. He was never a thief and never hung around with any serious ones, but several of his friends were what we called rounders, men who were cocky and flashy and seemed slightly dangerous to me. Bill Ray, the father of my main character, is that kind of man, but one who ends up being crushed by loss. His sons, Troy and Harlan, inherit that loss in different ways. Martha is a very strong young girl. Was she an easy character for you to write? I have a daughter who is also a very strong young girl, but she was tiny when I began to write the character of Martha. I don’t know exactly where Martha came from. I grew up around Mennonites, and I’ve always wanted to write about them, but Martha ended up feeling as if she had somehow sprung fully formed from my mind. She was the easiest character to write. I always knew what she was going to say and do. She was a kind of miracle and I want to write about her again. You live in New York now. Do you consider yourself a New Yorker? Do you think you will write a novel set in New York? I have lived in New York for twenty-seven years, longer than I ever lived in Texas and it’s my home. I love it all out of proportion. But I’m not sure I will ever write a novel set in New York. It’s been mythologized so thoroughly over the last century and a half. I’ve always gravitated toward novelists and short story writers who write about people living not just on the margins but well beyond them, often rural people whose lives don’t get turned into fiction nearly as frequently as big-city lives do, especially as the country (and the world) urbanizes—tough, funny writers like Lucia Berlin, Denis Johnson, Joy Williams, Annie Proulx, and Barry Hannah. Martha is a Mennonite. How much did you know about Mennonites before writing Presidio? Was there research you did to make her character more authentic? I grew up around Mennonite farm and ranch workers who came to West Texas from the Chihuahuan desert in Mexico, where large groups of Mennonites had migrated from Canada in the early part of the twentieth century. The groups I knew were probably less conservative and isolated than the Mennonites in Mexico, but they still held themselves apart from secular society, schooling their children privately and living mostly outside of towns. I grew up a Southern Baptist and I was fascinated by this group of religious adherents who were in many ways not much different from believers I knew, yet vastly different in how their beliefs shaped their lives. Over many years as I wrote the novel, I read deeply about Mennonite life. The book that was most helpful is a marvelously well-written 1971 history of the Mennonite migration to Mexico, They Sought a Country: Mennonite Colonization in Mexico, by Harry Leonard Sawatzky. Presidio has a very cinematic feel. It’s reminiscent of The Grifters, No Country for Old Men, and Hell or High Water. It was inspired in part by 1970s road movies like Two-Lane Blacktop and Vanishing Point. Who could you see cast as Troy and Harlan? A tough question. If it were the early 1970s, I’d say Warren Oates as Troy and Slim Pickens as Harlan, playing serious instead of comic. Now, maybe Joaquin Phoenix as Troy and Michael Shannon as Harlan, with Chris Cooper as the older version of the father, Bill Ray. Gina Rodriguez, from Jane the Virgin, would make a fantastic Bettie. In one of the cars he steals, Troy finds a collection of rare books. He keeps a trilogy of Western novels. Did you read any Westerns while working on this novel? Is the Western a genre you enjoy? A. Growing up, I read mostly science fiction and then started mainlining classic American and European literature. But I worked after school in a county library, so I was always familiar with the big Western novelists like Louis L’Amour, Zane Grey, and Elmer Kelton (who I knew lived not far away, in San Angelo, Texas.) I remember a tall ranch hand with a waxed handlebar mustache who came into the library every month on a furlough from whatever remote ranch he was working. He would check out a dozen Westerns and fill a paper grocery bag with them and walk out with the bag tucked under his arm, the happiest cowboy on the planet. I wrote this novel hoping that it would appeal as much to the small-town Texas people I grew up with as to readers in New York or other cities who have never set foot in Texas, much less rural America. Larry McMurtry wrote about you, saying, “Let’s hope he keeps his novelistic cool and brings us much, much more.” We agree! What can we expect from you next? I am working on another novel, this one set partly in the art world. For more than a decade I wrote about art for the New York Times and now I work in publications for an international art gallery, so I’ve wanted for years to write about an artist and about the hazy borders between rationality and delirium in the making of art. The setting will be a mental hospital in the Sacramento Valley in California.